Bridgedale Speed Trail Merino Wool Running Socks are lightweight crew length sports socks with merino wool-based ventilated construction for natural breathability while trail or mountain running, further enhanced by Coolmax wicking. they also have hand linked toes for smooth seams and uniquely cushioned feet and ankles. Mapped T2 anti-compression padding features at key pressure points (ball of the foot, lace up area and Achilles), for improved impact protection. The T2 technology is exclusive to Bridgedale, with a ‘loop within a loop’, offering an additional level of impact resilience. 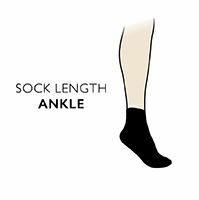 Bridgedale Speed Trail Merino Wool Running Socks are made in the UK to a high standard.